If I file bankruptcy, can I keep my tax return? Whether you have already filed your tax return and received your tax refund yet or not, if you are thinking about filing bankruptcy, you may be wondering whether or not you’ll get to keep your tax refund. 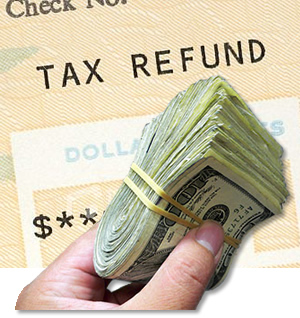 Under Chapter 7 and Chapter 13 bankruptcy, your tax refunds are protected by Mississippi Law. This means that your income tax refund is protected (exempt). It is a protected asset (up to a certain amount). Mississippi law allows you to keep up to $5,000 in federal tax refunds ($10,000 as a married couple filing jointly), up to $5,000 in Earned Income Tax Credits ($10,000 as a married couple filing jointly), and up to $5,000 in state tax refunds ($10,000 as a married couple filing jointly). So if you’re asking, “If I file bankruptcy, can I keep my tax return?”, as long as you don’t receive a refund above those amounts, filing bankruptcy won’t affect your tax refunds. What if your federal tax refund is more than the protected amount? If you get more than $5,000 back each year from the IRS, the best thing you can do is adjust your withholding to reduce the amount of taxes you are paying and maximize the amount of money you take home each pay period. With food and fuel prices going up, most of us need the money in our paychecks right now, rather than getting a large sum back at tax time.